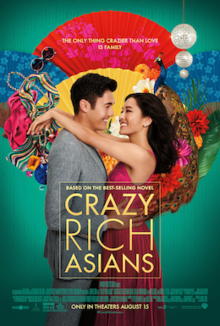 The library book group will be viewing Crazy Rich Asians (2018) and holding a discussion post film. Copies will be made available upon request through interlibrary loan. Bring your own bagged lunch, and drinks will be provided. The film is rated PG-13.